To join Heart Effect, please complete the form and payment options below. 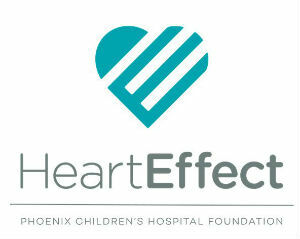 *Membership gifts to Heart Effect are eligible for the Arizona Charitable Tax Credit. Individuals giving up to $400 or couples giving up to $800 can recieve a dollar-for-dollar tax credit when filing next year. Are you interested in learning more about the Membership Committee? Are you interested in learning more about the Giving Committee? Are you interested in learning more about the Events Committee? Are you interested in learning more about the Family Support Committee? As a member of Heart Effect, I pledge to help further the mission of Phoenix Children’s Hospital. It is my goal to advocate on behalf of PCH, and to the best of my ability, participate fully in Heart Effect meetings, activities and community engagement opportunities.